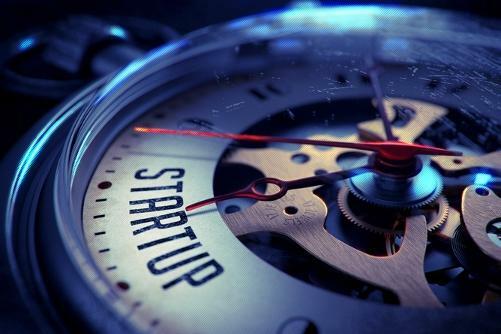 A total of US$555.6 million (A$698 million) was invested in Australian start-ups throughout 2017, 1.4 per cent more than the year prior, according to KPMG’s quarterly report on venture capital investment, Venture Pulse. In the fourth quarter of 2017, 17 deals were closed representing a total investment of US$121.5 million (A$152.6 million), or US$16.4 million more than the same period in 2016. “Australia’s startup investment scene has rapidly matured, with professional VC [venture capital] firms raising and deploying increasing levels of capital over the past few years” KPMG head of high growth ventures, Amanda Price, said. Among the highest investments Australian start-ups received were US$30 million invested in Melbourne-based digital trading platform, irexchange, US$25.72 million in Sydney-based outsourcing company, Airtasker, and US$19.5 million in Sydney-based super fund start-up, Spaceship. Even though the values invested increased, the number of investment deals declined significantly from a total of 185 in 2016 down to 135 in 2017. “The speed of growth has been coupled with an evolution in how investors approach start-up ventures – with a shift towards pre- and post-series A funding. At the same time, we are seeing increasingly sophisticated Australian startups scaling on the global stage,” Price said. China dominated the Asia-based venture capital investments in the fourth quarter of 2017 with US$13.9 billion in investment. The total investment in Asia was US$48 billion for the year of 2017. Three US$1 billion plus investments in China during the fourth quarter drove the yearly result. Global investments rose from US$40.8 billion in the third quarter on 2017 to US$46 billion in the fourth quarter. Artificial intelligence and machine learning saw a US$4.1 billion in investment in Q4 2017, compared to US$3.1 billion in Q317. Global venture capital investment in artificial intelligence and machine learning doubled from US$6 billion in 2016 to US$12 billion in 2017. Pharmaceuticals and biotechnology saw a year-over-year increase of US$4.4 billion in venture capital investment, from US$12.2 billion in 2016 to US$16.6 billion in 2017. Venture capital fundraising could see an uptick in 2018 as venture capital firms globally look to create larger global funds than they have in the past in order to compete with the US$100 billion Softbank Vision Fund. Areas like healthtech, biotech and autotech are expected to continue to grow at a rapid pace, while artificial intelligence across industries will likely help drive significant investment rounds. Newer areas like foodtech and agtech are also expected to gain traction heading into 2018.